Vision-Strike-Wear.Com announced today that it has entered into the military coin arena with its sharp military designs created for military challenge coins. The arsenal of custom military designs have now fired a broadside as they have entered into the military challenge coin arena. 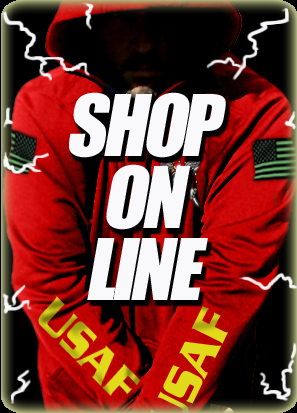 Over the past 7 plus years Vision-Strike-Wear.Com has been sought after for its unique and detailed approach to csutom US military custom designs for apparel. While that focus has never left the core of the work that VSW does it has been asked repeatedly to produce cutting edge designs for military coins. So many companies have copied their artwork and most in a truly horrific way that the owners of VSW had to finally get involved and take charge of their designs and produce coins with their artwork the way it is deserved. The days of copycat coin companies has come to an end. The United States Navy Jolly Roger The Sea Is Ours coin is actually the 3rd coin produced by the military art leadership of Vision-Strike-Wear.Com. Coin 1 was the highly successful US Navy Anchored coin inspired by a Navy Chief and made for Navy Chiefs. Coin 2 came shortly after which was the highly prized commemorative coin design created for Popeye fans the world over. Then arrived the US Army Eagle coin with a mascot look to this Army challenge coin featuring the American bald Eagle. The lastest edition to the line of military challenge coins and one that is expected to be highly popular among the active duty and reserve components of the United States Navy, not to mention the retired US Navy sailors is a design that is based upon the Jolly Roger The Sea Is Ours design originally created for shirts and apparel now updated to reflect how a VSW design should be done in true military coin form. And jsut in its wake of the Sea Is Ours US Navy coin comes another Jolly Roger coin that gets largers, weighs in more and is meaner and agressive like its brother United Tstaes Navy Coin. This one measures 3 inches and weighs in at 5 mm making it both incredible detailed, strong and perfect for your military coin collection. The Jolly Roger Skull and Bones coin LIVE!